It's officially summer! I go out for a little pootle and come back looking like this! 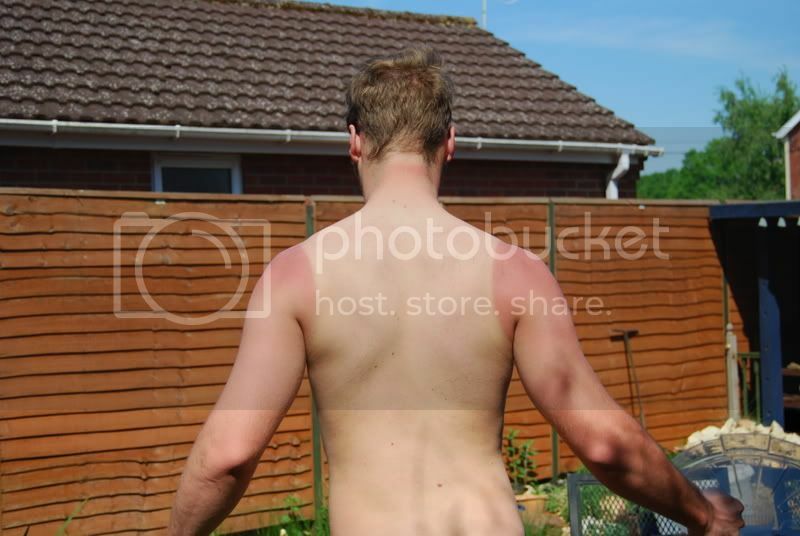 Re: Post your tan lines! Ow. That looks painful. 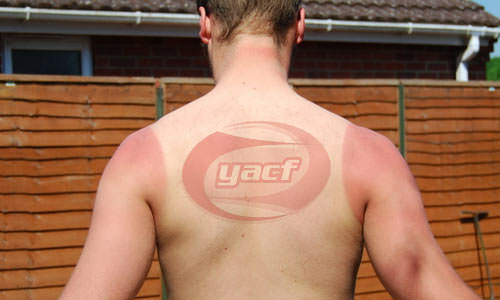 Did you use suncream? I'm not hoping for tan lines this summer. I've been sunburned too many times, and it's getting worrying. Could you post another one of your leg - this time with the muscles tensed? 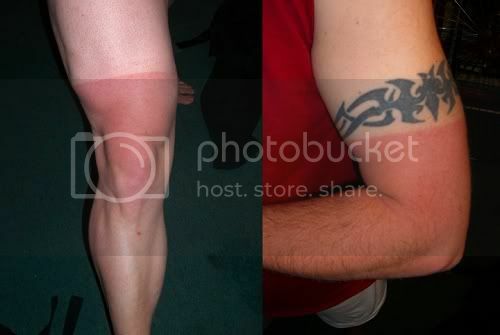 But Andy, they're not tan lines (yet); they're sunburn lines! I'm English. This is tan. That's what I'm talking about! Great work Bomber - especially the neckline! The most ridiculous tan lines I have are on my hands - I wear crochet mitts and have a pattern of small brown dots and one larger brown smudge from the opening between the Velcro strap and the mitt. It basically just looks like I haven't washed my hands in a while. I don't have a photo, so you'll have to use your imagination here. Did you get it from standing in the English rain?